After a 17-year absence from the US market, Argentina’s lemon exporters, whose standard of quality has been audited under the All Lemon seal since 2010, will be attending next week’s PMA Fresh Summit 2018. The historic presence celebrates both the long-awaited return of Argentine lemons to the US market after almost two decades, and a successful 2018 crop that saw larger volumes, higher levels of certified fruit and new markets conquered, due in part to the support of ACNOA, the Citrus Association of the North West of Argentina that promotes the sustainability of the region’s economic activity, All Lemon said. Argentine lemons returned to the US market this year with satisfactory exports taking place throughout the 2018 season. Some 10,640 tonnes were sent in total from 13 companies based in Tucumán – the leading province for lemon production in the north of Argentina, according to the organisation. 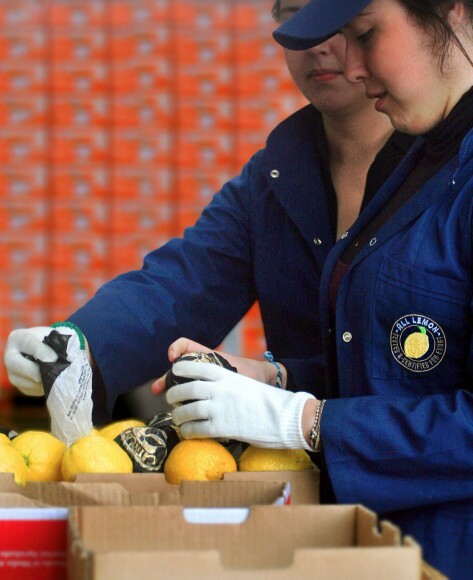 All Lemon said it was responsible for controlling the quality of the shipped lemons, including fruit belonging to a number of companies who are not currently associated to the quality seal scheme. Argentina also sent lemons for the first time to Japan this year, with initial shipments carried out by F.G.F. Trapani and audited by All Lemon. “This season taught us so much. Through a great effort, much coordination and a strong degree of professionalism we managed to achieve our objective of meeting national and international demand, contributing at the same time to the sustainability of the economy of the north west of Argentina,” said Pablo Padilla of ACNOA. The quality of this year’s lemon crop was superior to the previous season thanks to favourable weather conditions, and an increase in the frequency of quality control monitoring carried out by All Lemon in the 29 packhouses and 17 associated companies audited by the quality seal. “This season saw new companies joining All Lemon and new markets importing our product. We realised it was extremely important to push ourselves further than ever before, to go the extra mile in order to do the absolute utmost for our clients to supply them with the right volumes and the right quality,” said Diego Decima of Frutucumán, Argentine lemon exporter and All Lemon member.